Laura Italiano, New York Post: Investigators believe that Bernard Madoff has stuffed hundreds of millions of dollars in Ponzi profits into offshore tax havens from which they could prove tricky to recover. In the weeks since his Dec. 11 arrest, forensic accountants have been scouring Madoff's books as federal officials ready an indictment against the hated hedge-funder, who remains under house arrest in his $7 million Upper East Side penthouse. The accountants believe Madoff regularly sent bundles of money to offshore accounts in the Caribbean and Europe, the Observer newspaper in London reported yesterday. 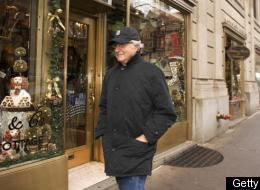 Madoff, 70, has been ordered by a Manhattan fed eral judge to provide to the Securities and Exchange Commission by New Year's Eve a detailed list of all of his assets - in cluding investments, loans, lines of credit, business interests and brokerage accounts. But tracking what happened to the estimated $50 billion Madoff is accused of making off with is already promising to be one of the longest and most complicated financial investigations on record, the Observer noted. And should Madoff prove less than forthcoming regarding his offshore accounts, investigators could be in for an even tougher time. The tax havens are designed under local laws to be nearly impervious to subpoenas or other investigative inquiries, making it notoriously tough for US officials to seize or even see what's there. Still, officials promised they'll be dogged in their pursuit. "We will trace funds wherever the trail goes," the Observer quoted Stephen Harbeck, chief executive of the Securities Investor Protection Corp., the receiver of Madoff's now-defunct fund, as saying. The paper quoted a "senior source" as saying, "There are accounts at New York Mellon Bank that we have been looking at that appear to have sent and received money from offshore locations." Bernie's funda-mental defense: If you thought Bernard Madoff’s $50 billion investment scheme was audacious, get ready for his alibi. Lawyers for the accused scammer are exploring an insanity defense, we hear. LSB: Anyone who hides hundreds of millions of dollars in off-shore accounts is NOT insane!